defendant rights | Kevin J. Kulik, P.A. 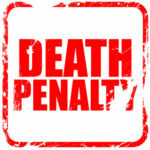 What Are Aggravating Factors In A Florida Death Penalty Case? New Bill to Protect Witness Information from Public Disclosure: Does it Run Afoul of the First Amendment? Right to Makeup Artist to Cover Up Facial Tattoos?